This Ganesh amulet will seek aid from the Lord of Beginnings and Obstacles when starting new endeavors or overcoming challenges. 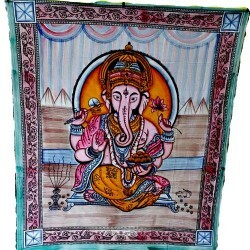 Ganesh is also the Lord of Good Fortune and success. Made in the USA. Has a cord. Lead-free pewter. 1 1/2 x 1. 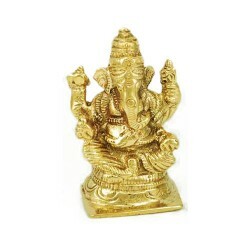 This small statue depicts the Remover of Obstacles and the Lord of Beginnings, the Hindu God Ganesh,..